Many medical professionals are turning to electronic tools to help them process patient records quickly and conveniently. One of the tools that is helping them is digital dental imaging, because it offers a convenient, secure, and quick way to create and stone electronic x-ray radiographs. Instead of using traditional photographic film, digital radiography utilizes digital sensors to take x-rays with a digital image capturing device, which is not only quicker but also uses less radiation. 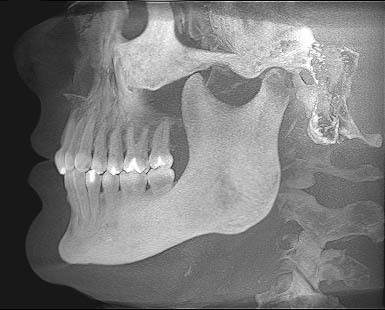 One of the biggest benefits to using digital dental imaging is because it provides images quickly, and unlike traditional x-ray images, digital images can be previewed, enhanced, edited, and shared. Traditional x-rays can be more expensive and time consuming than digital imaging, and the radiograph cannot be enhanced electronically if the x-ray is over or under exposed or difficult to read. Additionally, digital images can be stored in the cloud, making it even more simple to share and access patient records. Rather than storing radiographs on office servers, medical professionals can store patient data and more on external cloud servers. Why use digital imaging in the cloud? · Less risk of data loss: Information is backed up in the cloud network instead of on a physical drive, so you don’t have to worry about losing precious patient data because of hardware problems or damage to physical systems. · Comprehensive access to patient data: Files can be accessed by anyone with permissions, at any time, from anywhere. · Easy to share: Through the cloud, patient files and x-rays can be shared between medical professionals and offices immediately. · Easy implementation: The cloud is run through the internet, so your office doesn’t need to worry about hardware or software installation and maintenance. · Cost effective: Client-server systems can be expensive to install and take care of, but web-based cloud servers are available for a simple monthly fee. · Less IT costs and worries: Client-server systems necessitate extensive IT if there is a hardware or software issue, but the fee you pay for cloud-based servers includes IT support. Digital dental imaging in the cloud is the wave of the future, and for dentists and orthodontists looking to improve their practice, there is no better time than now. According to a Black Book survey, 72% of physician practices believed their profit margin would decrease to 2014 because of ineffective billing and records technology (via Health Care IT News). The survey also revealed that many medical professionals are dissatisfied with their current systems and are looking to make a switch to better technologies. Luckily, there is a solution: implementing digital imaging in the cloud for your dental office. It’s easy and cost effective to make the switch, so why wait? Staying ahead of the game makes you and your office better prepared and more professional.